Narcoossee Village is a neighborhood off of Narcoossee Road in St. Cloud. Residents enjoy a community pool, park and recreation facility overlooking a large, central pond with fountain. 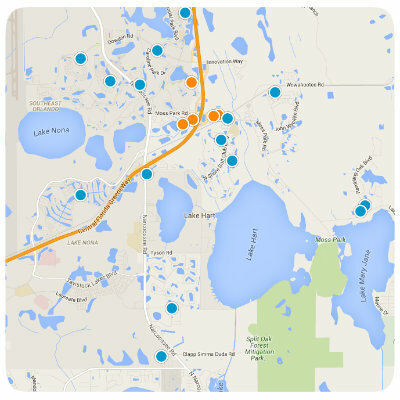 Narcoossee Village is an excellent choice if you want to live near Lake Nona without paying Lake Nona Prices. 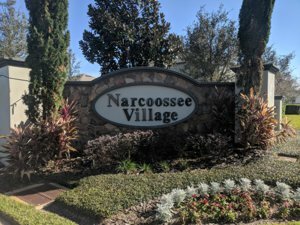 Where is Narcoossee Village in Narcoossee? Located in St. Cloud but is just 5 minutes South of Lake Nona and Medical City at the intersection of Narcoossee Road and Jack Brack Road. The neighborhood was completely built by MI homes between 2014 and 2016. These Mediterranean inspired homes feature two car garages with brick paver driveways and range in size from approx 1700 to 3700 square feet.